The annual LA Auto Show takes place every year right before Thanksgiving, offering a great opportunity for future car buyers to see, touch, and smell their next Automobile. 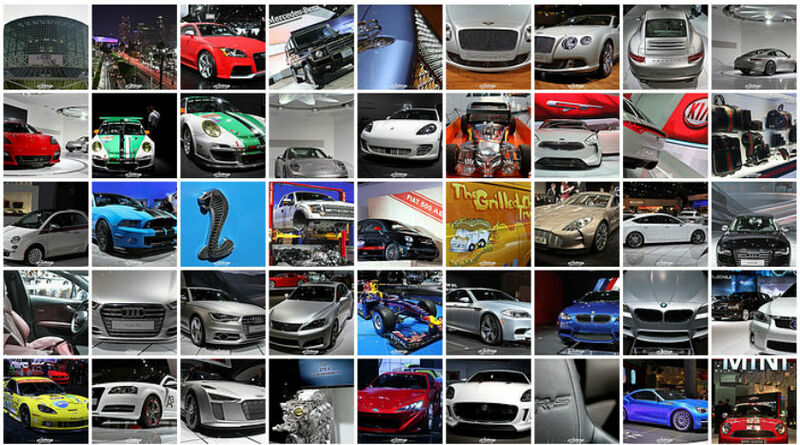 2011 has been an exciting year for the International Auto Show circuit and we are very fortunate to have been traveling amongst these great events. Geneva Motor Show wowed us with the debuts of such super cars as the Pagani Hauyra and Koenigsegg Agera R. The German manufactures used the Frankfurt Motor Show as a thematic represation of their brands with awe inspiring displays. And for the LA Auto show, as expected, the North American debuts were the highlight of the show. 600+ horse powered Mustangs and Cadillacs, along with Gucci clad Fiat’s, the Scion/Subaru reveals, Super Kia GT’s. There was an obvious lack of Ferrari and Maserati and other SuperCar presence at this year’s LA Auto Show. 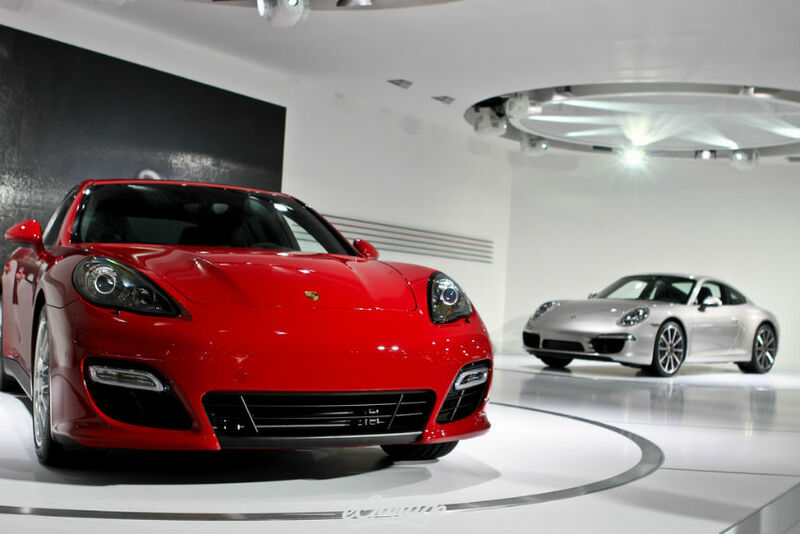 Porsche made the North American debut with the 991 911 Carrera and the Panamera GTS. The new Carrera is what you come to expect from Porsche every time they refresh the 911. Subtle differences and improvements that continues to exemplify the rich history of the 911. 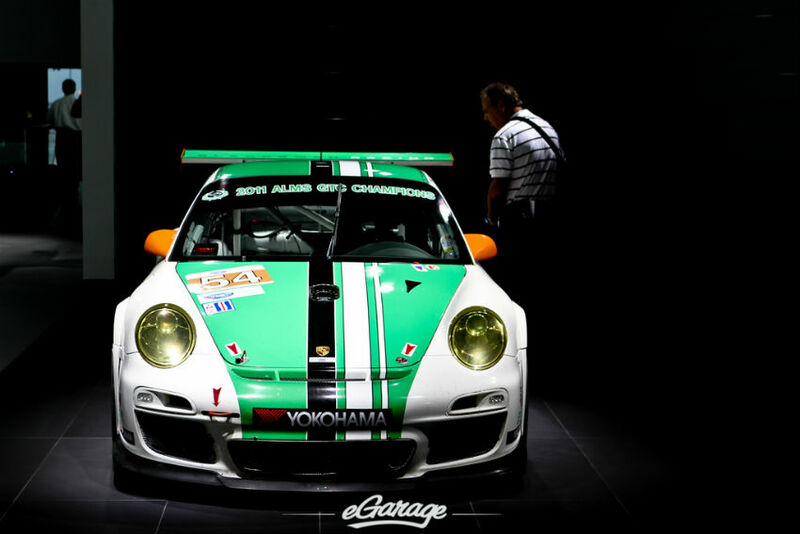 Porsche displayed the 2011 ALMS GTC Championship Black Swan Racing Porsche 911 GT3 Cup driven by Tim Pappa. Black Swan Racing also won the championship in 2010. The 2013 Ford Mustang Shelby GT500 is Ford’s first 200MPH production Mustang ever. Ford claims their new V-8 producing 650HP will be the most powerful production V-8 on the market in 2013. This 100hp increase over the previous GT500 is a direct response to the new Chevrolet Camaro ZL1 which holds the title as the fastest production Camaro. I think we can now all agree, the muscle car battle is back! 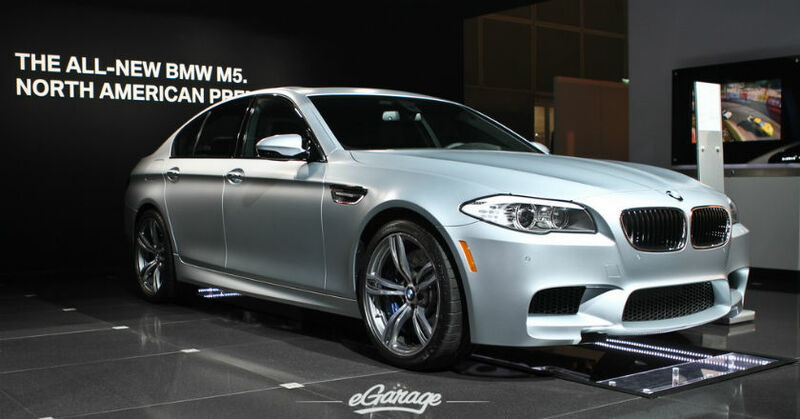 When we first saw the new BMW M5 at Frankfurt Motor Show we certainly were smitten with the overall design of the car. Some may miss that powerful V10 from the previous M5, but BMW promises the new high-revving twin turbo V8 that produces 560 hp wont disappoint. Too bad no wagon is coming to the USA market. Mercedes-Benz has been showing off the C63 AMG Black Series through out the International Auto Show circuit. 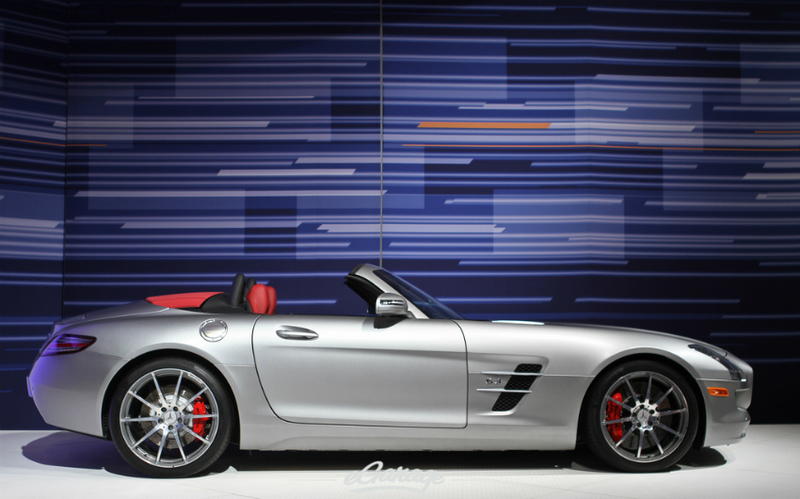 LA Auto Show was the first time the North American market had the opportunity to see the car. Lets just say that eGarage can not wait any longer for this car to arrive. Benz also had the SLS AMG Roadster on full display; safe to say we will be seeing plenty of these roadster driving down the Pacific Coast Highway. We were pleasantly surprised with Subaru BRZ Concept STI and the Scion FR-S. Maybe this Subaru / Toyota relationship will work after all, both cars were head turners. 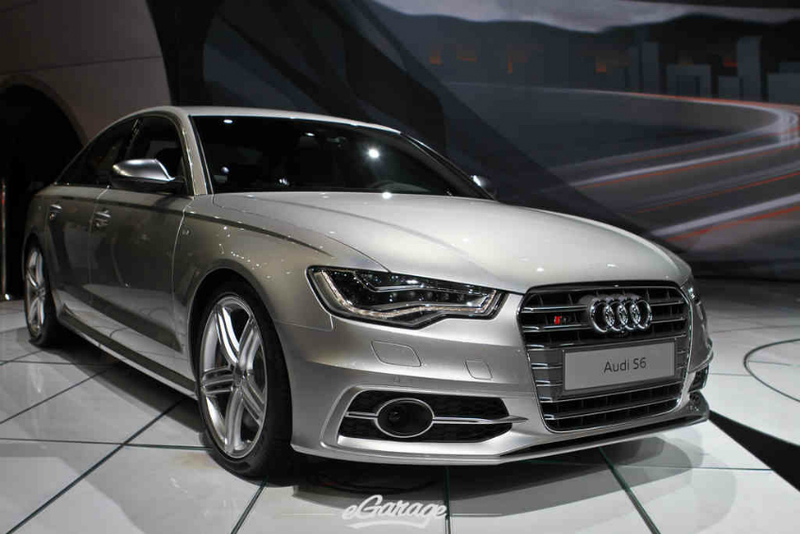 Audi North America debut the all new S6, S7, and S8. No surprises here, Audi delivered. With the S Models being refreshed we are sure our friends at QuattroWorld will have their hands full testing these models. We will be certain to be the first to update you on QuattroWorld’s road tests and reviews. 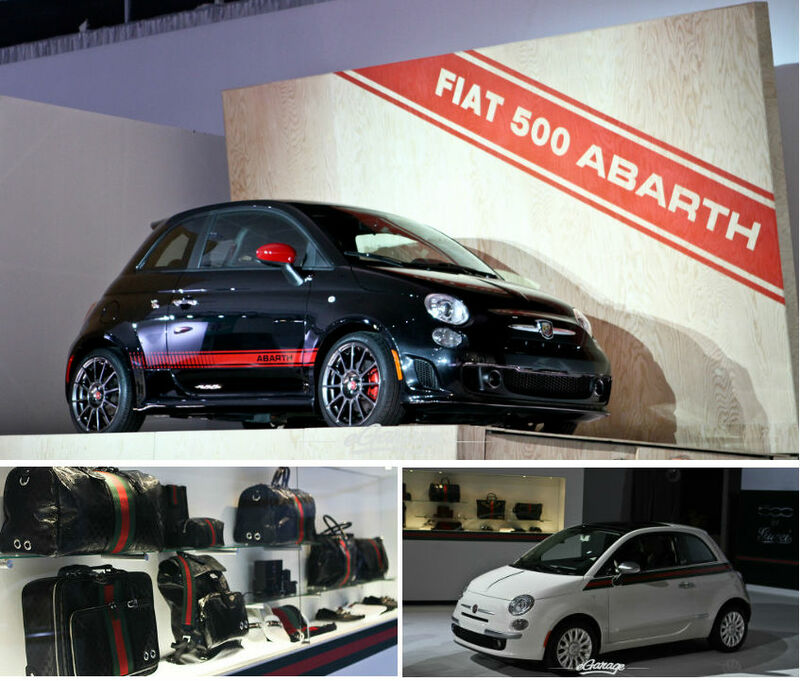 Fiat debuted not only the Fiat 500 Abarth here in America but also showed off the Gucci edition. We’re perplexed by this partnership as the handbags cost about the same price of the car. But we must say, the Gucci seat belts were pretty awesome. If J.Lo can endorse it, why shouldn’t eGarage?